It's that time of the year again. Many thanks to all those that donated last year to keep the Cornwall Football Forum running and remain completely independent. In order to keep the forum a non profit site, free from advertising and independent we need to cover the server costs. Unlike other sites, at no point is your data sold to any third party. I will be posting a website link soon that will allow users to donate securely in order to hit our target. The deadline will be 29 March 2019 at 23:00. Again just to repeat, the Cornwall Football Forum is a non-profit site, independent and advertising free. 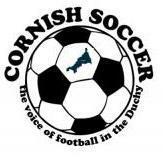 We have been running for over 10 years now and will keep on going supporting the Cornish football community. Older, for legal reasons the servers are in the USA. Therefore I pay in dollars. The costs are the same but over the last year has seen a fluctuation in exchange rate, I was able to hedge against it through donations. Well done Richard, I didn't know if it was affected by inflation or like the energy companies...like their money. I’ve just donated the £10 given to me on behalf of HAYLE AFC last Sunday. Thanks to all those that have donated today, It is much appreciated. Come on people, only £60 in the pot. We need £780 either by donation or perhaps advertising on the site. We just hit the 20% target. Thanks to all those that have donated so far!!!! We the just gone past 25% of the target this evening! Thanks to the 23 who have donated so far and all those last year. Over 1000 viewers over the weekend, even if everyone chucked in a quid that would get us to our target. Donations can remain anonymous on the funding site. Just hit the 40% milestone this morning!. Thanks to those that have donated. Nearing the 50% this evening. Nearly half way to our milestone! Thank you for all the donations sent today! We are now so so close to 50% target! We just went over our 50% target!!! Thanks to all those that donated so far. We are now heading towards our 60% target this morning. We need to raise £330 in 8 days or I am out of a job as one of the moderators of the Forum and you'll lose a valuable resource of information and a platform to air your grievances, go on fishing trips for biters, etc. We can't allow the best football forum in the country go just for the price of a pint each . Not sure were you drink fenman but if everyone donated price of can of Cola we would easily get over the target. We have just hit the 60% milestone! On the road to 70% target. I still live in the 60's Justice when beer was 1shilling and eight pence a pint .If the target isn't reached it will be a sad reflection of the modern age .Once it's gone it's gone as the saying goes . Donation made. Great forum so well worth it! Thank you to the 50 contributors who have donated so far, we are on the way to 70% of our target because of you! Donation made. This forum is a real asset to football in Cornwall so let's hope we can help to keep it going. Thanks you have helped push us over the 75% milestone this evening! Wow, we have just hit our 90% milestone! Over 75+ donators, it goes to show that the forum is valued by its contributors. Thanks Rappo!!! We have just gone past the 95% milestone this morning. Great news , however , without wanting to pour cold water on it , it's a very sad reflection of the times that with the huge number of followers its been such a struggle to raise the money . I've just donated. Keep up the good work guys, the cornish football scene is certainly a better place with the forum. Fenman, I can understand what you are saying however there were also community members that donated last year. It all depends on peoples circumstances. The forum has been going for over a decade now and will continue until people feel there is no more need. But in the mean time we are up and running and people are contributing.